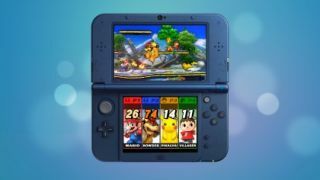 Good news Nintendo 3DS owners – Nintendo has reiterated its promise that it will continue to support the 3DS console even after the release of the Nintendo Switch. All the way back in 2015 when the Switch was still known as the NX, Satoru Iwata said that Nintendo did not consider the Switch a “simple replacement” for the Wii U or the 3DS. Now that Wii U production has come to an end in Japan ahead of the Switch launch, it’s understandable that there have been rumors the 3DS could soon be put to bed too – the Switch does, after all, fulfill both the home and handheld needs of players. The 3DS’ continued lease of life is also helped by the fact that its hardware sales have continued to rise to over 62 million (unlike the Wii U) and the sheer success of Pokemon Sun and Moon have proven the power of good software in driving sales and maintaining consumer interest. So, while the Wii U might be bowing out to let the Nintendo Switch take center stage in the home, Nintendo says it will have “several follow-up titles from popular franchises on Nintendo 3DS” as well as “many other unannounced titles to continue to enrich the software lineup going forward”.